Let Scientific Climate Systems help you optimize the performance of your dry room. Scientific Climate Systems offers a dry room performance analysis. Baseline the performance of your Dry Room including room conditions, dehumidification/mechanical equipment performance, energy consumption, room integrity. 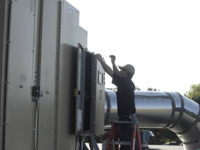 Identify and report any equipment issues, potential reliability issues, or performance degradation issues that exist. 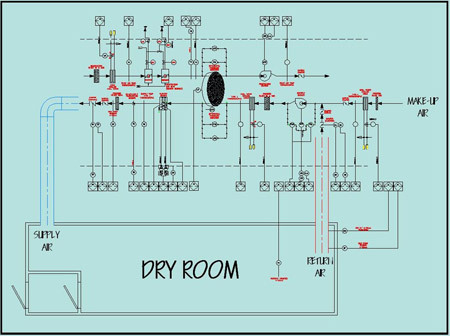 Adjust system operating parameters (within the limits of the system) to account for changes in the Dry Room or its operating conditions (i.e. load profile changes, additional personnel in the room). Provide recommendations for performance improvements, energy efficiency upgrades, controls upgrades and long term service plans that would improve the reliability, performance or operating efficiency of your Dry Room. Provide Energy Savings calculations that quantify the savings for any energy efficiency grants and/or measures we propose. Click here to learn more about why dry room performance is critical.